207 miles. 12 men. 2 vehicles. 26 hours. 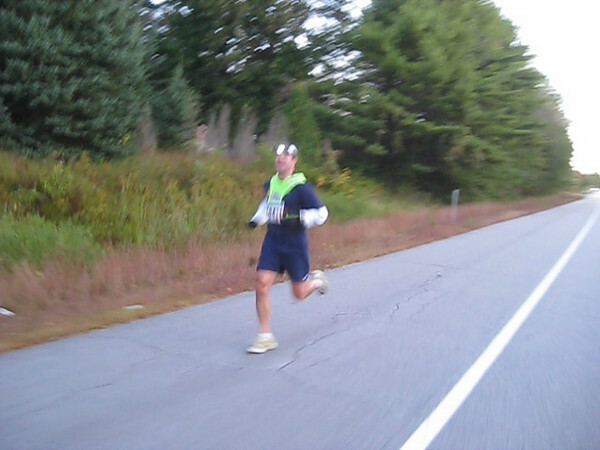 A relay running race from Cannon Mountain to Hampton Beach, New Hampshire. Mat Demers, Matt Merrifield, Mike Turner, Mike Hersom, Russ Fellers, Glenn Robie, Paul Toth, Steve Hall, Clinton Swett, Tom Hoag, Andy Beaudion, and myself were on the 5th annual Reach The Beach Relay for our team Liquid Carb Road Racers. Other than some rain in the first two stages, the weather was cool and clear. We had a small cheering panel of Yvonne, Cynthia, and Linda, too. Almost all these names are friends from back in high school. It's great that we are still in touch and spending a little time together after all of these years.